Collections are how individual reviews are collected for display on your website. You can create as many collections as you like, and each individual collection is saved as its own unique shortcode with its own unique settings and display options. 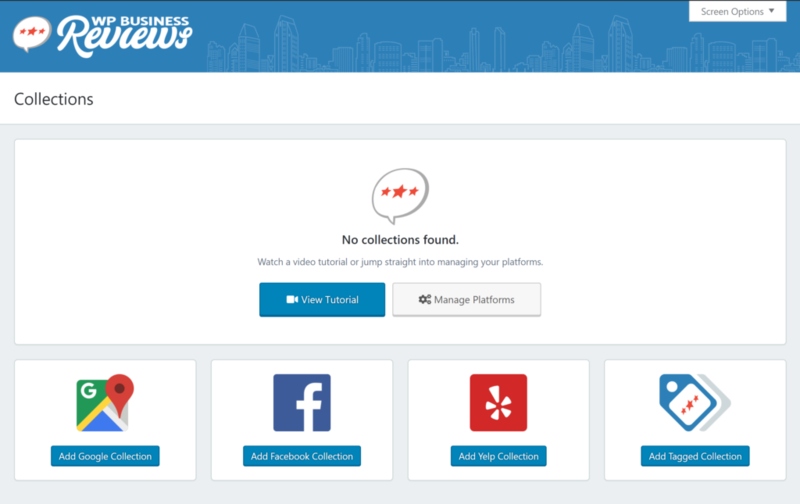 The WP Business Reviews Collections screen with no collections. Title — the title of this collection. This can be edited directly on this screen via the “Quick Edit” link. Platform — this column describes what Platform this collection was created with. Clicking the platform link will filter all your collections by that platform only. Style — this column describes the style the collection was configured with. This cannot be edited from this screen. Format — this column describes the format the collection was configured with. This cannot be edited from this screen. Date — this column displays the date that the collection was created. Clicking on the “Date” header of this column will sort your collections by date. Shortcode — this column provides a button you can click in order to copy the shortcode for this collection to your clipboard to paste anywhere throughout your website. 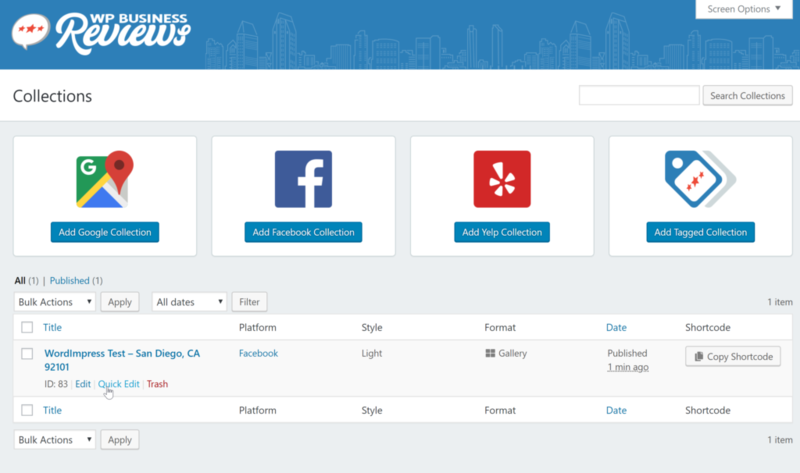 The WP Business Reviews Collections screen with one collection shown with all columns. Want to customize the columns on this screen? Try the free “Admin Columns” plugin.